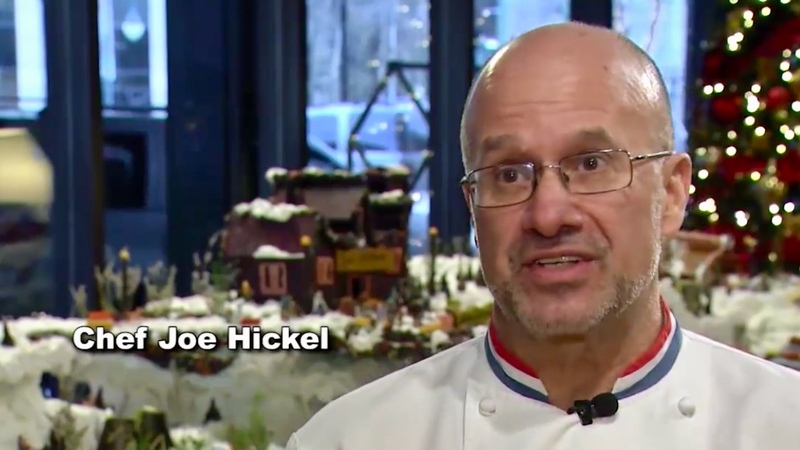 Last year Joe reported to KTVA 11 News that he used over 2,300 lbs. of sugar, icing and chocolate alone. Not including the 80 sheet pans of gingerbread walls, rooftops and chimneys. 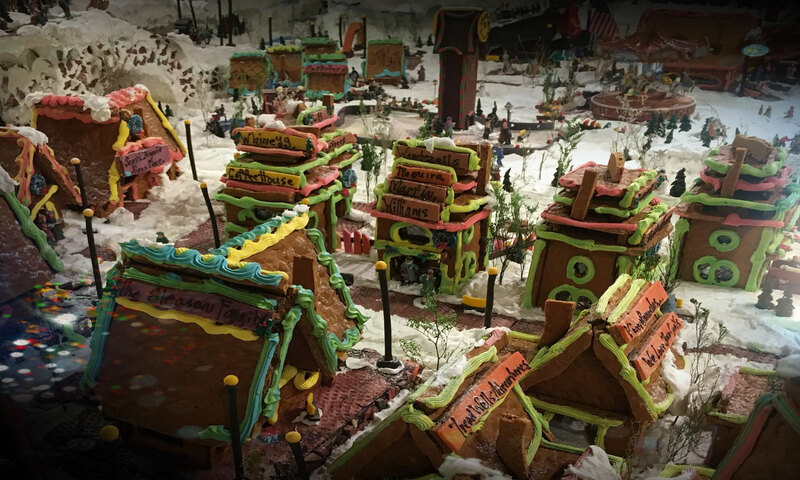 The gingerbread village, an annual holiday tradition in Anchorage,AK is now on display at The Hotel Captain Cook through the end of the year.